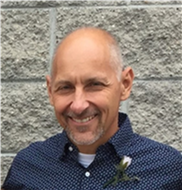 Craig Stephen Menge, age 52 of Cedar, passed away peacefully on Sunday, October 15, 2017 in his home, surrounded by family and friends, after a two-year battle with lung cancer which he fought with courage and grace. Craig was surrounded by his wife, children, family, and friends who loved him and will miss him dearly. Craig loved life and many things in life: spending time with his family, weekends at the cabin, hanging out with friends, hunting and fishing trips, and all things “dad”. He was always ready to chat and share his witty sense of humor, understanding and kindness with others. All things he enjoyed were because they were spent with those he loved. Craig will be remembered for his devotion to his family, his generous spirit, caring heart, compassion for others, and being the “master of fun”. He was loved by many and will be greatly missed. Craig was preceded in death by his mother, Beverley Hayunga. He is survived by his loving wife of 22 years, Jean; daughters, Danielle, Grace, and Alita; father, Helmut “Mitch” (Linda) Menge; step-father, Doug Hayunga; sister, Jennifer Menge; also survived by nieces, nephews, cousins, relatives, and many wonderful friends. A visitation will be held from 4:00 – 7:00 p.m., with a prayer service at 7:00 p.m., on Sunday, October 22, 2017 at Thurston-DeShaw Funeral Home, 13817 Jay Street NW, Andover. Funeral Monday, October 23, 2017 at 11:00 a.m.